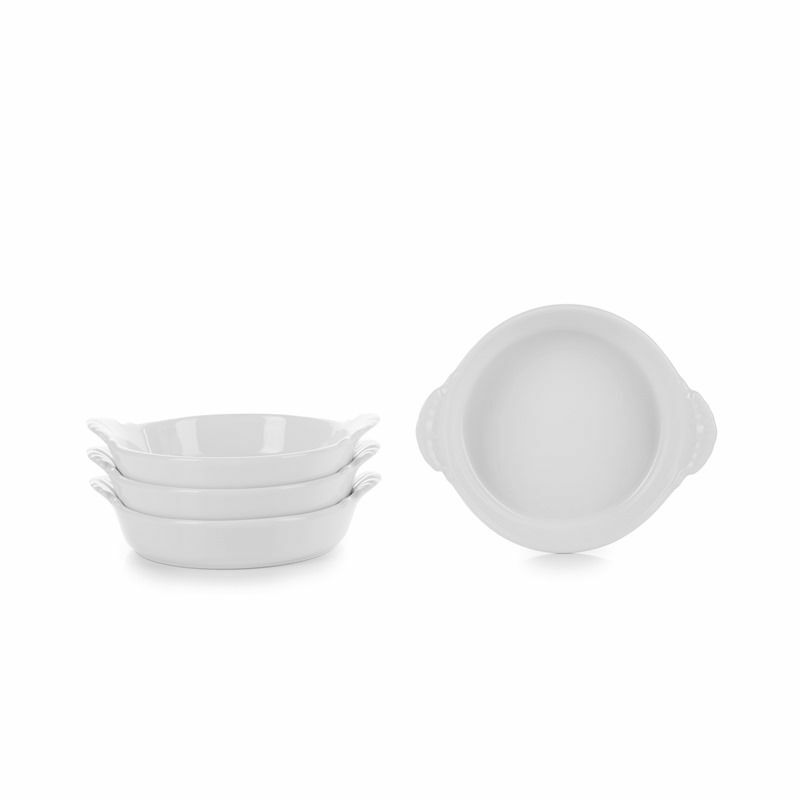 Set of 4 rounded eared dishes 6inch. Part of the French cuisine, eared dishes can be used for everything. 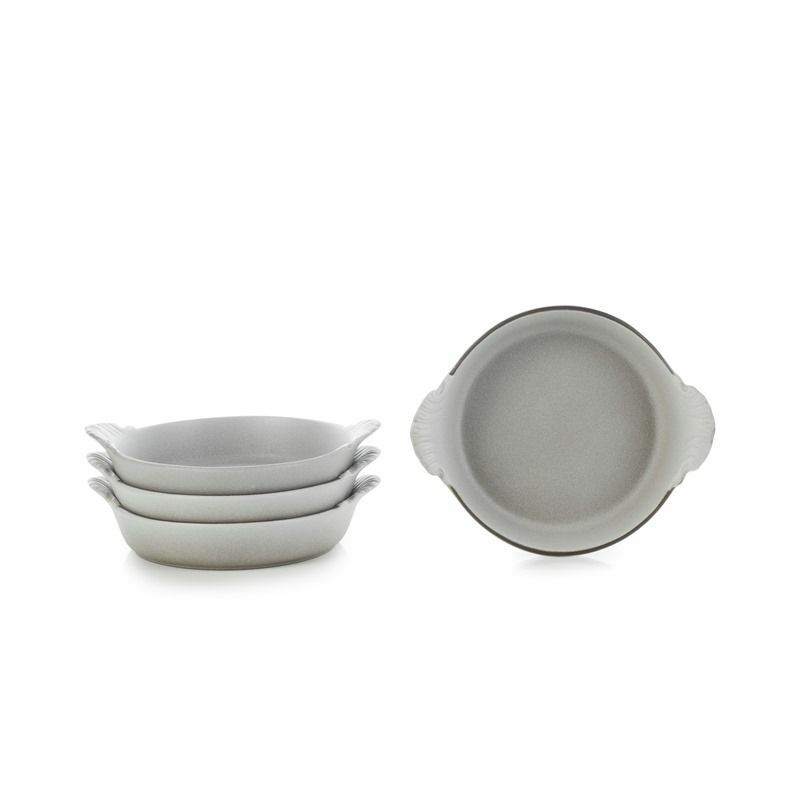 Available in 3 colors: all white, black clay with a matt black finish or black clay with a pepper grey matt finish. Oven and microwave safe. also dishwasher safe. Also available in white and black.